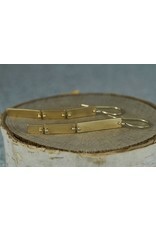 These earrings have so much movement! 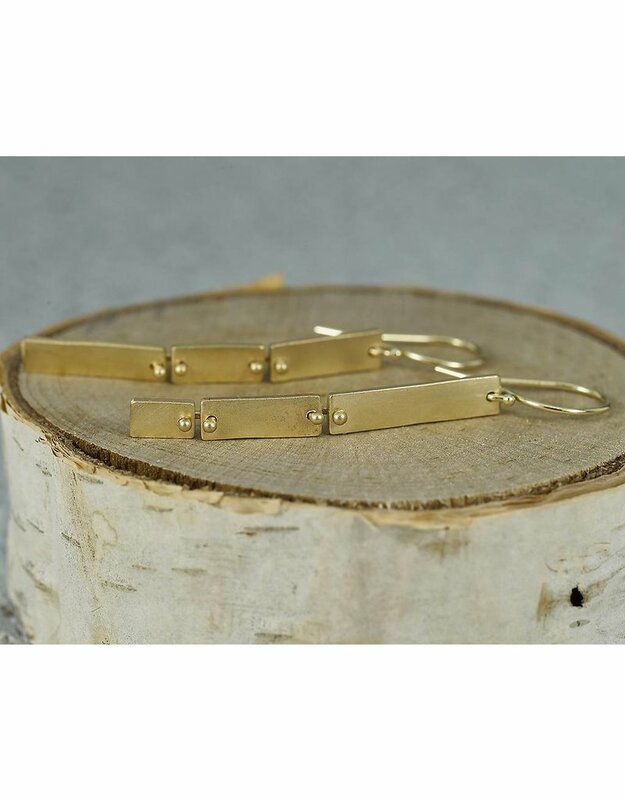 Each and every pair is hand fabricated and one earring is pieced together differently than the other for a truly unique look. 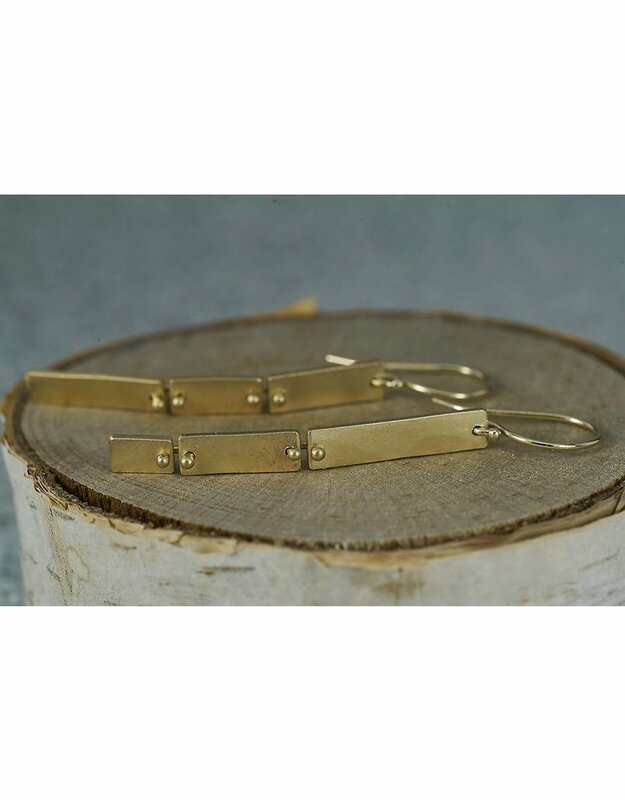 The 14K Gold metal has been given a subtle distressed texture using an antique hammer. 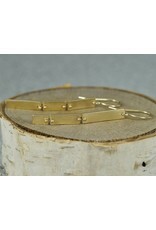 These beauties are lightweight, have a flattering shape and delicately reflect light. This version is shorter than the original design, measuring 1.5" from bottom of earwire.